I have perhaps one song in my life that changed my perspective on an emotional time in my life. That song is a Bowie song. It was 2006 and my parents had just told me, my brother and my sister that they were breaking up. I’m 16 and as the oldest I tried to be brave and responsible. It shook my world, as I thought that we were a close, happy family. My dad was still living in the same house as the rest of us at the time, soon to move out to his own flat. I remember sitting on the floor of the living room, writing or something, and I wanted something different to listen to. I had never really listened to or appreciated Bowie before, despite my parents owning a few of his records, and no doubt playing them. Through these lyrics, David Bowie helped me through my parents’ separation. He helped me to see that bad things happen, and there’s nothing you can do about it, but you can change how you deal with it. In the end, their separation was a good thing, and it didn’t affect me in any long term way. From then on, I loved David Bowie. He was an incredible man in his own right. An fascinating chameleon of fashion, music and art, he is one of the most influential artists of his time. I went to the V&A when they had the David Bowie Is exhibition on, and it struck me that he was influenced by just as much as he influenced himself. There’s nothing new under the sun, the saying goes, and David Bowie proves it, but he also showed us that there are new ways of interpreting existing things and innovating the stagnant. A genius of self-invention, it is his androgynous, ambiguous fashion sense that we all loved. 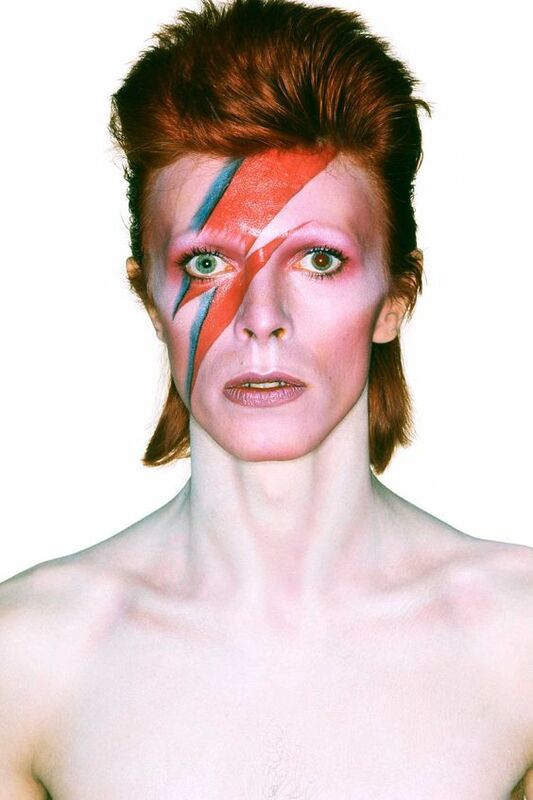 From David Jones to Ziggy Stardust, Aladdin Sane and more, Bowie changed his style so many times, making sure that he was the most unique that he could be at that precise moment. Whether it was a knitted asymmetric zig zag jumpsuit, a silk dress, or gold forehead circles, Bowie fashion influence stretches across decades and industries. The song “Fashion” has been the soundtrack for myriad catwalk shows, appeared as the walk off judge in Zoolander and appeared in a Louis Vuitton ad. Lady Gaga makes reference to him in two of her videos, Kate Moss has dressed as Bowie twice, and picked up a Brit award on his behalf dressed in one of his Ziggy Stardust costumes. His influence is seen in Givenchy, Lanvin, Balmain, Pucci, McQueen, Gaultier, Dries Van Noten and Alber Elbaz’s collections across the years. Through the way he looked, what he wore and what he sang, Bowie made it known that it was alright if you didn’t fit in. Waking up to the news that he died after suffering with cancer privately has made me very sad indeed. He was a great part of Britain’s musical history and he will be sorely missed. As Eddie Izzard has said, through his music he will live forever.